Are you wondering what the perfect Mother’s Day gift is? Check out this gift card holder I created using my Cricut, American Crafts Cardstock and my Xyron Creative Station. This post contains affiliate links. At no extra cost to you, I receive a small commision. Thank you for your support. I still don’t know what to get my mom or what to even tell my husband to get me for Mother’s Day. A gift card is a great idea because it gives moms a chance to go out, alone, and buy something for themselves that they normally wouldn’t. Make this gift card holder to make the gift card a little more personalized. You can’t just give a gift card in an envelope, at least I can’t. I have to make a cute gift card holder made out of cardstock and cut with my Cricut. 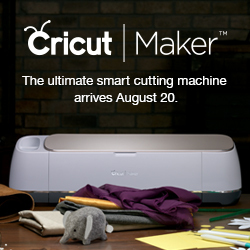 Begin by cutting out your Cricut card with the Design Space file above. 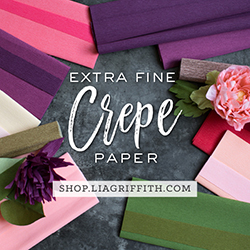 It’s all sized for you, you just need the American Crafts cardstock to go along with it. This amazing cardstock is by Jen Hadfield of Tatertots & Jello. 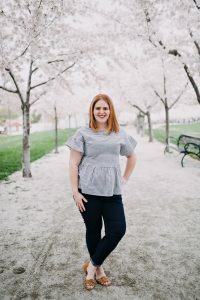 She is amazing and has done awesome things in her career and her diving into the scrapbooking world is something I’ve loved watching. After you’ve cut all your pieces, it’s time to assemble. Use the gated images and the buckles and then run those through the Xyron Creative Station. Place those over the floral cut pieces. Use your Xyron Mega Runner and place adhesive on the back side of the floral cardstock and secure that to the cardstock that has the notches cut in it. Place the buckles over the cut areas but leave the slits exposed so that the buckle straps will slide right in. You’re going to adhere your gift card holder to the inside of the card. The smaller green piece is where you can glue the gift card or write your Mother’s Day message. Use the butterfly 3-D stickers on the buckle of the card and add some ephemera to the outside of the envelope.